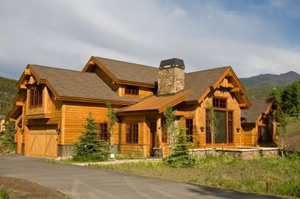 In my experience as a Breckenridge real estate agent, I find that most homebuyers look for existing properties when they’re looking for a home in Summit County. However, that attitude could be changing. According to the National Association of Realtors (NAR), new home construction and sales are expected to go up quite extensively in 2014. With about 429,000 newly built homes sold in 2013, this trend could mean that more than a million properties will be created and over 500,000 homes will be sold in the 2014 calendar year. Since new construction is definitely on the rise, I think it’s worthwhile to examine what today’s home buyers want in new construction. Buying a home is often the most expensive purchase a family or individual will make. That’s why energy savings can really make a difference. Many new homebuilders are paying close attention to this need and developing homes with sophisticated insulation, super-efficient heat sources and better windows and doors. In order to accomplish this goal, however, ventilation is key. An advanced mechanism called a heat-recovery ventilator gets the job done. It actually pulls out the old air from the kitchen and bathrooms. Simultaneously, it sends fresh air to the bedrooms, living room and other areas. This approach is relatively new today, but it could be gaining momentum as the demand for energy efficiency continues to grow. The dream of having a large yard is fading away in 2014’s new construction. These days, newly built homes are being erected on smaller lots. Today’s homebuyers like this trend because it means less yard work and lower property taxes. Since less land is popular right now, new construction tends to result in multi-level homes with open floor plans designed to maximize the living space. Say goodbye to your standard window and entry door. New construction is changing the rules. Contemporary styles integrate natural light and aren’t as concerned with privacy. Many newly constructed homes position the windows to bring in more light. Transom windows, which are long in shape and near the ceiling, welcome the light in from every angle. Also, entry doors have much more glass than ever before. In some cases, they’re even transparent. The logic behind such a design is that you don’t need as much privacy with a front door as you might with an interior room. The end result is entry doors that shatter previously accepted standards to generate new ways of thinking about a home’s ever-important first impression. Today’s freshly constructed homes aren’t built along rigid floor plans. Therefore, buyers are able to request specialty rooms for their properties. Such spaces could include living areas for in-laws, studios, activity rooms and anything else you may dream up for your new home. Of course, you can still have the standard rooms that are expected in any type of house. The nice thing is that the sky’s truly the limit when it comes to personalizing new construction to fit your individual needs. Want More Info on New Construction? As you can tell, there are great options in today’s new-home construction marketplace. If you’re thinking of buying vacant land in Breckenridge to build a new home on, get in touch. I’d be happy to walk you through the process and help you find the perfect parcel in Summit County. Also, if you want to find an existing Breckenridge, CO property to call your own, I’m always eager to put together some homes that might suit your tastes. You’re welcome to browse through the updated listings on my website, and when you’re ready to talk through your options or schedule showings, contact me at any time via email ([email protected]) or on my office line. I look forward to working with you!